It's been a year since Brexit... so what's going to happen now? It's been one whole year since the UK decided to say one big fat NOPE to the EU, so to mark the occasion we thought we'd take a look to see what's changed since. MARK the one-year anniversary of voting for Brexit by making an absolutely catastrophic decision because a bus told you to. 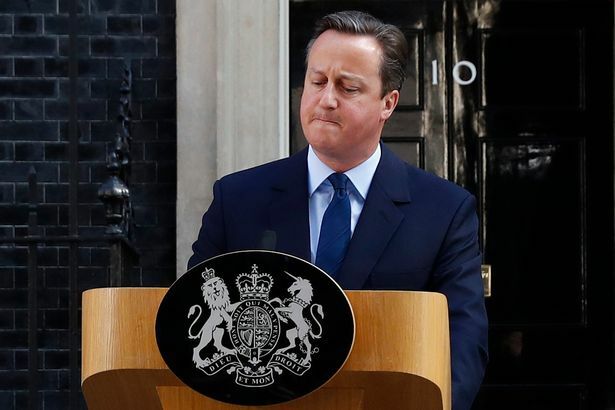 Realising he'd made a bigger mistake than Kim Kardashian when she married Chris whats-his-face, David Cameron really didn't have any choice but to wave goodbye to number 10. Since then Theresa May took the reigns and probably did more for the world of memes than she did for the Conservative party or Brexit..
Before it was even announced that the Leave vote had even won, big campaigners such as Boris Johnson and Nigel Farage immediately abandoned one of the campaign's biggest promises. 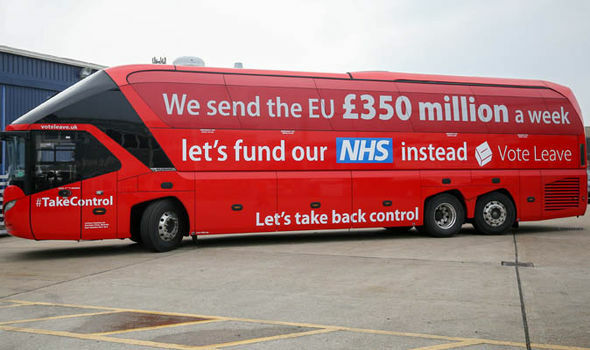 The Leave Campaign claimed that Britain spent £350 million on the EU a week, and so if the UK left, they would pump this money into the NHS instead. Within the early hours of the morning, Nigel Farage argued that the pledge was a 'huge mistake' and rather than leaving the EU decided to leave frontline politics altogether (only to return, leave, return again, leave... we're getting off topic). After we all accepted that yes, Brexit DID happen, and no, a petition for a second referendum was not going to keep us in the EU (parliament were doing a good enough job with this, anyway), it seemed Article 50 was going to be ~T R I G G E R E D~ and Brexit would get well underway. ... or not. The Supreme Court put a big two fingers up to Theresa May's Brexit plans and upheld a ruling which said that MPs had to vote to trigger Article 50. So whilst we were really TRYING to leave the EU, it seemed like it just wasn't (isn't?) going to happen. Nonetheless, MPs did vote to trigger Article 50 on March 29 and Brexit finally got 'underway'... ish... sort of... not really. Hoping to increase her majority to better negotiate Brexit, Theresa May called a snap general election despite promising numerous times that she wouldn't. And like in every election in the past year, the result went in totally the opposite direction. Rather than gaining a landslide majority, May actually lost her majority, leaving her in a bit of a pickle with no way to actually negotiate Brexit and Labour leader Jeremy Corbyn claimed he'd won the election even though he still had a lot less seats than the Conservatives. So here we are a year on... Negotiations have stopped, started, been paused and resumed, and we're probably just as much in the EU as we were before the referendum. Maybe next year we might have actually got a deal on the table, and the year after that we'll leave the EU... but probably not.